NASHVILLE, Tenn. (WKRN) - Metro police have announced road closures ahead of next month's NFL Draft weekend. 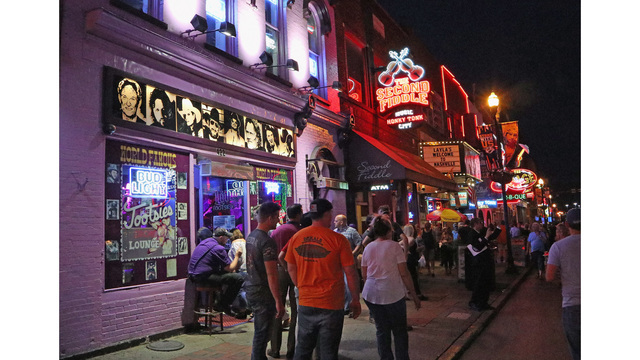 Officers said the first day of the draft alone is expected to draw over 100,000 people into Downtown Nashville. The draft formally begins Thursday, Apr. 25 and continues through Saturday, Apr. 27. Road closures are expected to begin on Friday, Apr. 5, when 1st Avenue from Demonbreun to Church Streets, and Broadway from 1st to 2nd Avenues, will close to allow for stage construction. Full closures for the NFL Draft will take effect at midnight on April 24th and include: Broadway will be closed from 1st to 5th Avenues, as will 1st thru 5th Avenues between Commerce and Demonbreun Streets (4th Avenue will reopen each morning April 24th, 25th, & 26th for rush hour traffic and will reclose by 10 a.m. on those days). During draft days, 2nd Avenue South will be set up as a two-way street from Demonbreun Street to Korean Veterans Boulevard; the westbound lanes of Commerce Street will be set up as a two-way street between 4th and 2nd Avenues; 4th Avenue North (after morning rush hours) will be set up as a two-way street between Commerce Street and Broadway; and 5th Avenue North will be set up as a two-way street between Commerce and Demonbreun Streets.